Have you ever heard of ractopamine? No? Do not feel bad, almost no one outside the meat and drug industry has heard of this drug. Yet, chances are that you have ingested residues of ractopamine a number of times, if you eat conventional pork, beef, or turkey. Not to worry. Meat with the levels of residue allowed by the FDA is safe for human consumption. Our government says it is safe, so it is safe. Disturbingly, the European Union and even China disagrees, banning the import of American meat that contains residues of ractopamine, even at the safe levels set by the FDA. But everyone agrees that ractopamine reduces the amount of fat in meat, making for leaner meat. It also enhances the growth of animals, making them bigger. Since the fat of grassfed and pastured animals is the most nutrient-dense part, making the meat more tender and adding great flavor, I am completely opposed to any drug that would make meat leaner. For this reason, I contacted my local farmer and every source I use for grassfed beef and pastured pork to see if they used ractopamine. The results will be discussed later in this post. Ractopamine was approved for pork in 1999. Ractopamine was approved for beef in 2003. Ractopamine was approved for turkey in 2008. At this point, ractopamine is believed to be added to the feed of sixty to eighty percent of the pigs slaughtered for meat in the U.S.
A problem arose soon after the introduction of ractopamine into the pork supply—the FDA received many reports of pigs becoming very ill, and even dying. The FDA dealt with this problem by asking the manufacturer to include a warning insert with the drug, which the manufacturer did. A second problem arose when the European Union and China refused to allow meat with detectable ractopamine residues to be sold in their respective countries, even when the residue was at or below the level the FDA has declared safe. This issue is still in dispute, and has not been resolved. This has put a serious dent in American pork exports, and some beef exports. The solution seems simple enough—stop using ractopamine, and open up those markets. Yet Big Ag refuses to stop using the drug, and has persuaded the U.S. government to pressure the Europeans and Chinese into allowing the importation of U.S. meat with ractopamine residues. So far, the pressure has not worked. Saturated animal fat is perhaps the most demonized of all foods. Yet this fat, if it comes from grassfed or pastured animals, is the very best source of many vital nutrients. The fat of grassfed and pastured animals is one of the oldest human foods, and nutrients from this fat are easily assimilated by the human body. See The Skinny on Fats. I want my meat to have more fat, not less, and I certainly do not want to eat meat that has been made leaner by a drug, even if the meat is safe for human consumption. The natural fat of grassfed and pastured animals helps keep the meat tender, and adds terrific natural flavor. Anyone who has had the misfortune of eating the lean, tough, tasteless pork so common in the U.S. will understand why I never touch the stuff. It is tough and tastes terrible. But pastured pork, from heritage breeds, with plenty of fat, is absolutely delicious, and very tender. I asked my local farmer and all the producers I buy meat from, if they use ractopamine. This includes Humboldt Grassfed Beef (my local farmer), U.S. Wellness Meats, Homestead Natural Foods, Alderspring Ranch, and Gaucho Ranch. I am happy to say that NONE of them use any drug to raise their cattle or pigs, and that most of them had never even heard of ractopamine. These fine grassfed ranchers and farmers raise their meat the natural way, on grass, using their skill at raising grassfed and pastured animals to produce wonderful, healthy meat. I am so grateful to all of them for making this good meat available to me and my family, and so many others. My solution to the issue is the same solution I use for almost every meat issue—buy only grassfed and pastured meats, and buy them only from ranchers I know and trust. Sure has resulted in a number of delicious meals that make me feel so good! 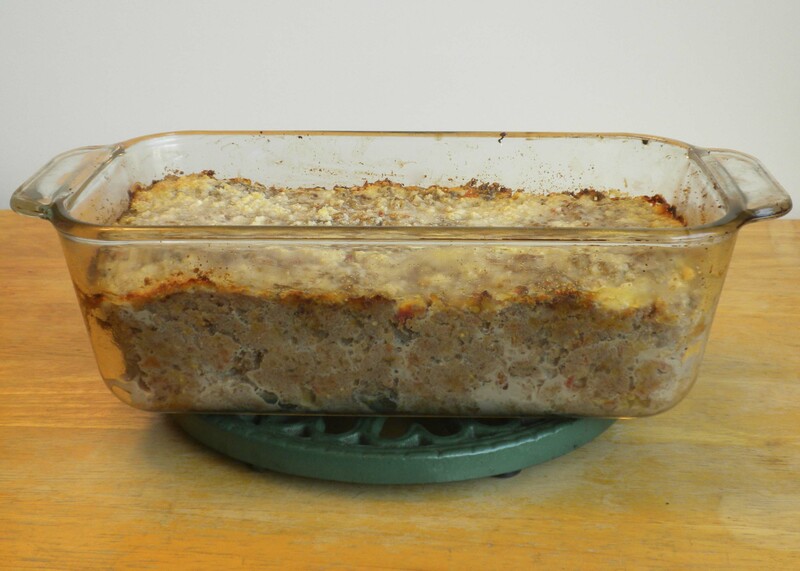 Grassfed liver is a nutrient-rich ingredient for a meatloaf. My friends at U.S. Wellness Meats recently mentioned in their newsletter that WebMD had actually posted a list of foods that could improve your health. As mentioned in the newsletter, the very fact that a mainstream site would even state that any food could heal is a huge step forward. True, the list of foods at WebMD did not include any meat, and did not make any distinction between organic (or the equivalent) foods and the pesticide and chemical soaked foods offered by conventional agriculture, but hey, it’s a start. This has inspired me to offer my own list of seven grassfed foods that greatly improve the natural functions of the body. The natural functions of the body are nature’s way of keeping us healthy, and the better these functions work, the healthier we are. Grassfed Beef. This is one of the oldest foods of humankind. Our ancestors thrived on it, and so do we. Grassfed beef and fat are loaded with all kinds of nutrients, such as a perfect balance of omega-3and omega-6 fatty acids, natural CLA, the Vitamin B complex, all the amino acids, many other vitamins, many minerals, and many other nutrients, often known as “co-factors.” Grassfed beef and fat are easy to digest and the nutrients they carry are easily assimilated. I have never heard of anyone being allergic to grassfed beef. If you eat the meat very rare, it is also full of many valuable enzymes that will help digestion and also nourish the body. Grassfed beef was known in Europe as the most effective way of rebuilding a damaged body. An old German saying is beef gives strength. It was eating grassfed beef and other grassfed meats that rebuilt my body back to good health, and I have received many emails from others who have had the same renewing and revitalizing experience. Grassfed Bison. Grassfed bison has all the benefits of grassfed meat, and more. Grassfed bison was the favorite and most common food of the Native Americans who lived on the Great Plains of the United States. These native people were known for their robust good health, fantastic eyesight, ability to heal from even the worst of wounds, great stamina, height, strength, and perfect teeth, though they had no dentists. They also had almost no infant mortality, in an age where only half of the babies born in London survived to age 5. These native people were also known for being healthy robust and active even into a very advanced age, and for keeping their teeth and eyesight well into their nineties. Grassfed bison is even easier to digest than grassfed beef. One of my favorite foods is very rare grassfed bison roast or steak, so tender it can be cut with a fork. I feel better with every bite. At the end of such a meal, I feel renewed and revitalized. Unfortunately, grassfed bison has become very expensive as the demand is much greater than the supply, but it is worth getting as a very special, nourishing treat as finances permit. Grassfed Lamb. This is one of the world’s very favorite foods, though lamb is not popular in the U.S. This may be because the U.S. is one of the very few countries to feed grain and soy to lambs, which ruins the taste, in my opinion. But fortunately, the U.S. still has some ranchers who raise wonderful grassfed lamb. Grassfed lamb is also an ancestral food, containing the same invaluable nutrients as grassfed beef and grassfed bison. Grassfed lamb was used by our ancestors to relieve digestive difficulties. This ancient wisdom was invaluable for me a few weeks ago. I had eaten at a restaurant and suffered from indigestion and similar complaints within a day. Natural remedies did not help much. I was doubtful, but I roasted a rack of lamb medium rare, and ate some of it with the fat. Within hours, all my digestive difficulties were gone. Grassfed lamb can be absolutely delicious if properly cooked, tasting nothing like the conventional lamb so many Americans hate. Grassfed Bone Broth. Whether made with the bones of grassfed beef, grassfed bison, grassfed lamb, or any combination of them, grassfed bone broth is one of the most nourishing and comforting foods you can eat. Rich with easily assimilated minerals, these delicious broths are also full of natural gelatin and other substances that are vital for the natural functioning of our bodies, and help preserve and strengthen our bones and joints. These broths help stimulate and ease the digestive system, which is why broth was served as a first course or with meals all over the world. Bone broths, brimming with nutrients, are a universal remedy for colds and all kinds of illness. I also think of them as the perfect mineral supplement, as the nutrients in broth are very easy to digest and assimilate. Grassfed Liver. Whether from grassfed beef, grassfed bison, or grassfed lamb, grassfed liver is one of the most nutrient-dense foods you could possibly eat. Hunters all over the world, for uncounted thousands of years, would eat the raw livers of the animals they killed. Lions and other predatory animals will also eat the liver first. Grassfed liver is particularly rich in B vitamins, Vitamin A, Vitamin D, Vitamin K, magnesium, and many other nutrients. Grassfed liver also contains substances that help the human liver function much better. Other substances in liver reduce fatigue and improve brain function. Contrary to popular belief, grassfed liver is not full of toxins, but is full of nutrition. I have not yet been able to do it myself, but friends who regularly consume small amounts of raw grassfed liver report wonderful results. I get very good results from cooked grassfed liver. Grsssfed Heart.The hearts of grassfed animals were prized all over the world, as it was felt that eating them would strengthen the human heart. This belief was common even into the twentieth century, where country doctors would often prescribe it to their patients as a way to avoid heart disease. Grassfed heart is perhaps the best natural source of coenzyme CoQ10, which is vital to maintaining a healthy heart. Grassfed heart, whether from beef, bison, or lamb, is loaded with many nutrients, and is believed to contain substances that will strengthen the human heart. Grassfed Kidney. This organ meat was also a favorite of traditional cultures, from Europe to Asia to Africa to the Americas. It is very dense with vitamins and minerals, and contains substances that are believed to improve the natural functions of the kidney. Wild predatory animals will usually eat the kidneys after they finish the liver. If you do not want to go to the trouble of cooking the organ meats, you can still get the benefits of eating them, in one wonderful product—U.S. Wellness Meats Grassfed Liverwurst. This wonderful grassfed beef product is 25% grassfed liver, 25% grassfed heart, 25% grassfed kidney, and 25% grassfed beef and fat. This is the easiest way I know to get the benefits of organ meats, and the combination of all these nutritious organs gives a new meaning to “nutrient-dense.” This is my favorite sausage of all time, and I make it in many different ways. Tender Grassfed Meat has some of these recipes. But you can also eat it straight out of the wrapper. These traditional animal foods are some of the superfoods our ancestors knew and thrived on, and we can enjoy their many benefits today. We Need Real Restaurants Serving Real Food! Restaurants aren't what they used to be. Do you ever get tired of the poor quality and high prices of most restaurants? I certainly do. The main choice seems to be between chain restaurants serving large amounts of the worst factory foods, or higher-end restaurants serving tiny portions of somewhat better food. The taste is often mediocre at best, and if you are used to eating real food, your stomach will often rebel against what you have put into it. And the money you spent on this expensive meal could have bought you a large amount of excellent grassfed meat and real food, since restaurant prices can be so high. I run into these problems in supposedly high-quality restaurants with great reviews and reputations, as well as the more pedestrian places. Even the smaller ethnic restaurants have similar problems. Most of the time, I count myself lucky if I do not get an upset stomach after eating at a restaurant. Just about all of the time, I go home hungry because the food lacks the nutrients my body has become used to when eating real food. Enough is enough. Instead of accepting the current miserable situation, we need real restaurants serving real food! 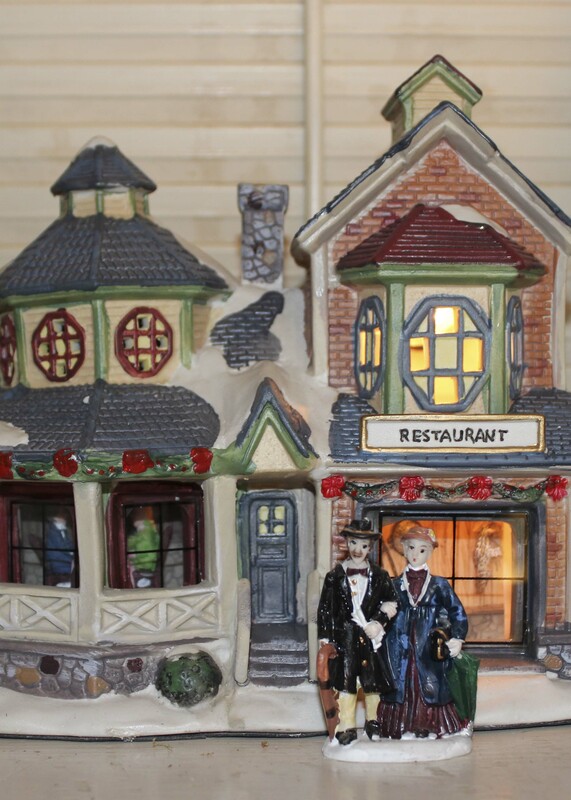 When I was a child and a teenager, many restaurants were excellent. They had to be. This was a time when most families had good home cooks, and most people just would not go to a restaurant unless the food was better than at home. This set a very high standard for taste and quality. Also, there were no GMOs, and much of the food was far more real than it is now. We now live in a time where most people do not know how to cook. Packaged factory foods form a huge part of SAD (Standard American Diet). Most people have been brainwashed into thinking all food is the same. This lack of competition has allowed restaurants to get away with mediocre food, terrible ingredients, and huge prices. We should no longer accept mediocrity or worse. A meal at a restaurant should taste wonderful, use high-quality real food, be cooked and served under sanitary conditions, and leave you feeling satisfied after eating it. Nothing less is acceptable. I have nine suggestions toward reaching this goal. 1. Serve real food only. This is crucial. Even restaurants that boast of the quality of their ingredients often use factory ingredients to save money. They often buy from restaurant supply companies that supply the cheapest factory food. Food should be organic or the equivalent, preferably local. One of the few restaurants that does it right is Chez Panisse, in Berkeley, which buys almost all of its foods from quality local farms and ranches. This is a good standard. 2. Drop the factory meat and serve only grassfed and grass-finished meat. This seems like a very radical suggestion, and it is. But the rewards of implementing it are immense. Grassfed and grass-finished meat is far superior in nutrition, much more satisfying to the appetite, and is perhaps the oldest food of humankind. It tastes much better than factory meat, when properly cooked. I have made this suggestion in a number of places, and the answer is always along the lines that grassfed meat is “tough.” No, it is not tough. Properly cooked grassfed meat is very tender. The chefs and cooks just need to learn how to cook it. 3. Serve only wild fish. Most restaurants serve only farmed fish, which are the nautical equivalent of factory meat. Farmed fish are fed a totally unnatural diet, and are far less nourishing than wild fish. Wild fish taste much better. 4. Stop using modern vegetable oils, and use only traditional fats in cooking. Almost all restaurants use modern vegetable oils. The favorite modern oils are soy and canola, as they are also the cheapest. These modern oils, which were never used prior to the twentieth century, have a terrible overbalance of omega-6 fatty acids, and are far inferior in nutritional value to traditional fats such as butter, lard, ghee, beef tallow, coconut oil, pure extra virgin olive oil, etc. 5. Serve a full plate of nourishing food, and fill up the empty spaces. Few things annoy me more than ordering an expensive entrée and getting a tiny serving, with plenty of empty space on the plate. When I was a child, you could not even see the bottom of the plate until you had eaten something. Now, tiny portions of expensive entrées are “plated,” which is a fancy term for increasing profits by shortchanging people on food while leaving large areas of the plate empty. This results in people going home hungry, or buying appetizers on equally empty plates to try to satisfy their appetites. While this may increase profits, it is not fair to the customer, in my opinion. While restaurants seem to love the “deck-of-playing-cards”-size meat servings pushed by the government, they still charge huge prices for these tiny portions. 6. Throw away the microwave. Many restaurants reheat a frozen entrée in the microwave, and serve it as “fresh.” Not only are there serious concerns about what microwaving does to food, but this practice is detrimental to both nutrition and taste. Freshly cooked food tastes much better. Many restaurants are downright filthy. Many restaurant refrigerators are not nearly cold enough. There is no excuse for this. Every kitchen, serving area, food storage area, dish, and utensil should be clean. No exceptions. Every refrigerator should be at least forty degrees, or colder. People often get sick from the filth in restaurants and their food, and this can always be avoided. 8. Cook it great, every time! Restaurant cooks and chefs are supposed to be professionals, who cook for a living. Every single dish they turn out should taste great, every single time. I have eaten in many restaurants where a dish is good one time, and terrible the next. Many dishes are poorly cooked and mediocre. This can ruin a restaurant’s reputation. Good ingredients, properly cooked, taste great. It is that simple. 9. Stop using chemicals and flavor enhancers. No restaurant should use MSG or other chemicals to artificially enhance the flavor of their food. Not only can these chemical additives be harmful, they mask the taste of poorly cooked food, and deceive the public as to the quality of the meal. Many in the restaurant industry will claim that these suggestions are too expensive. As recently as the 1980s, many restaurants had similar standards (except for grassfed meat). Restaurants have a great ability to buy food wholesale, and to negotiate prices, especially when they are buying from individual farms and ranches. But more to the point is that restaurants are already very expensive, and I see no need to spend money on poor quality restaurant food. 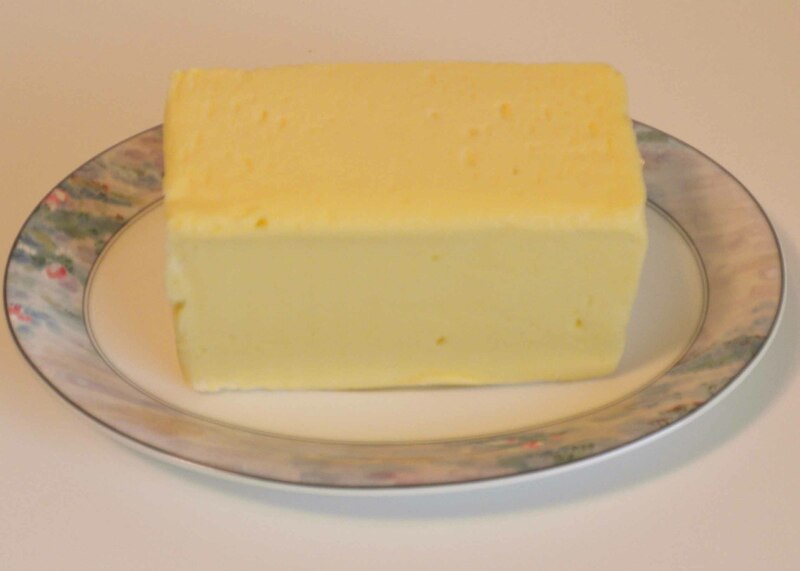 Pastured butter—this is what people used to eat to lose weight. The FDA recently claimed that some advertisers of “Lap Band” weight loss surgeries were not properly disclosing the many dangers of the procedure. It is a total mystery to me why anyone would accept the risks of surgery if they had any alternative. Why anybody would accept mutilation, internal scarring, and the insertion of a foreign device into their bodies. To have this done for the purpose of losing weight is incomprehensible to me. But it is supposed to be so hard to lose weight, and to keep the weight off. And weight loss surgeries like gastric bypasses and the “Lap Band” are supposed to make it easy. 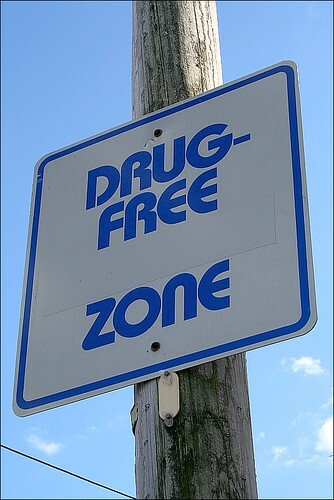 But there is a much safer and ultimately easier way that will work for most people. A way that was in common use before World War II, from a time when obesity was very rare. A way that is simple and effective. This is the “secret” that was commonly used in the early twentieth century, with great success—eat a low-carb, high-fat diet. Before animal fat was demonized by the completely discredited “lipid hypothesis,” there was no massive diet industry. There were no surgeries for weight loss. There was very little obesity. If somebody wanted to lose weight, the common medical response was to prescribe a low-carb, high-fat diet. This was so effective in achieving weight loss that obesity was not a problem. And people did not suffer from malnourishment with such a diet, as grassfed animal fat is one of the most nutrient-dense substances on Earth. The food at that time was also different. There was much less processed food. Meat was always grassfed and grass-finished. While there was far too much sugar in the diets of many people, going on a low-carb, high-fat diet would remove the sugar-heavy foods and the carbohydrate-rich foods. People who went on the low-carb, high-fat diet would usually eat large amounts of pastured animal fats such as butter, lard, beef tallow, and fatty meats, from animals that were grassfed and pastured. The fat of grassfed animals is rich in CLA, a nutrient that actually reduces body fat. It was not hard for most people to stay on such a diet, because the animal fats are so satisfying. Weighing too much was simply not a problem for most people, and when it was a problem, there was an easy solution that worked for almost everybody. And there was no market for a huge diet industry. Obesity started to become a huge problem after World War II. The fear of cholesterol was created, and eating fat was identified with consuming cholesterol. Animals in the U.S. were finished in feedlots, a practice that resulted in the animal losing almost all the CLA in its meat and fat. Doctors stopped prescribing the low-carb, high-fat diets that had been so effective in the past, because of the fear of animal fat. People ate more and more high-carbohydrate, processed foods, more sugar, and more food additives. At the same time, they greatly reduced their consumption of animal fats and greatly increased their consumption of vegetable oils that could only be made with modern technology. The result? Americans became fatter, and fatter, and fatter. The diet industry was born. You would think that something would have been learned about the fact that high-carbohydrate, low-fat diets make people fat, after decades of experience. And you would be right. Unfortunately, one of the things that was learned is that such a diet would make huge numbers of people fat, and that a fortune could be made by keeping them fat and giving them weight loss programs that would provide only temporary relief. Thus, we have a multi-billion-dollar diet industry, a segment of the medical industry that “treats” obesity, and millions of suffering people who are exploited by these industries. Millions of people starve themselves, and exercise themselves into exhaustion as they follow these programs and get advice from medical professionals, in a desperate attempt to lose weight. Most people who lose weight, after much effort, suffering, and expense, gain it back, and the whole horrible cycle starts again. A gastric bypass actually involves stapling the stomach, and rerouting the food digestion so the small intestine is avoided. Normally, all food passes through the small intestine, which is crucial to digestion. This make it impossible for the body to function properly in digesting food, which leads to weight loss. A “Lap Band” involves the surgical, interior attachment of an inflatable belt around the stomach. The belt constricts the size of the stomach, so it cannot expand to hold more food to digest. This makes it impossible for the stomach to function properly in digesting food, which also leads to weight loss. Both of these procedures have many risks and a high chance of serious side effects, which often lead to more surgeries to try to correct the problems that arise. My own personal experience has convinced me that the best way to deal with almost any body issue is to strengthen the natural functions of the body, by eating a nourishing traditional diet, full of foods rich in pastured animal fat. Surgeries that interfere with and disable the natural functions of the body are something that I would never agree to. If weight is the issue, the low-carb, high-fat diet is tried and true. It is important to eat only real food and grassfed meats when you are on such a diet, as those were the foods available when the diet was common and obesity was rare. I am not giving medical advice, just writing about how things were done and about my own experience. If you have a medical issue, you should consult a medical professional, preferably one who treats each patient as an individual and is open to new ideas. There are many such diets, with the Atkins diet being the most famous. The book “Eat Fat, Lose Fat” by Sally Fallon Morell, describes an effective high-fat diet, using a Weston A. Price perspective. My friend Jimmy Moore is devoted to providing information on low-carb, high-fat diets, and there is a ton of useful information on his website, Livin’ La Vida Low-Carb Blog. Jimmy will also answer questions about the subject by email. 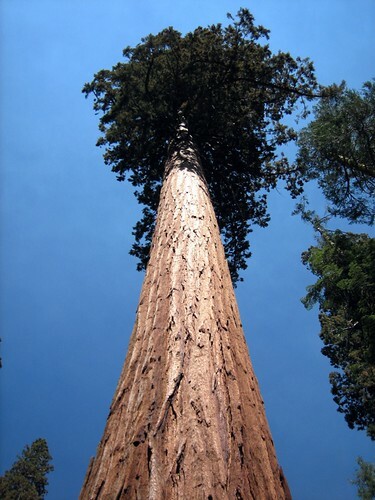 photo credit: 4johnny5 The redwood tree gets stronger and more beautiful with age. My wife gave me a wonderful gift for Christmas. A DVD showing photos of our son when he was a baby and a small child. He looked great, and it was amazing to see how tiny he used to be. But there was someone else in some of the photos. Someone who did not look great. Someone who looked sick and strained, even at the happy times when these photos were taken. That someone used to be me. These photos were taken from twelve to seventeen years ago. The man in those photos looks so much older, weaker, and sicker than I look today. The difference is so remarkable that I think it is worth describing. It is a living testimony of the difference that switching to real food can make. Then. The man in the photos has pale, pasty skin, quite blotchy, with a very unhealthy pallor. I remember that it was often itchy and irritated, with small growths that would come and go. Now. My skin is smooth, supple, and a healthy color. It is hardly ever itchy and never irritated. The growths are gone. Then. The man in the photos always had his mouth wide open, and often appeared to be gasping for breath. I remember that I was on many medications for asthma and the constant respiratory infections I was afflicted with. I saw doctors frequently and occasionally had to be rushed to the emergency room when I got an asthma attack that the medication could not control. I remember that I could never get enough air, and could only breathe through my mouth. Often breathing and gasping for air would end with a nasty, painful hacking cough. Now. My mouth is shut unless I am talking, or eating, or laughing. I breathe easily through my nose at all times. I hardly ever notice my breathing, which is effortless. I do not cough, or gasp, or choke. I am on no medications (over-the-counter or otherwise), and have not seen a doctor for at least nine years. Then. The man in the photos had dull, damp, thin, coarse hair that looked like it was about to fall out. I remember that I was losing hair, with ever growing bald spots. Now. My hair is lighter in color, with a fair mixture of gray. But it is very thick, and gleams. It is soft and full-bodied. It never falls out. In fact, the bald spots seem to be shrinking a bit. Then. The man in the pictures often had a look of pain in his eyes, even at the happy times when those pictures were taken. I remember that I was almost always in pain, with all kinds of discomforts, aches, and soreness—all over my body. Now. My eyes are calm and serene. Many people tell me I have “kind eyes.” I usually feel good, with no pain or discomfort of any kind. When there is an occasional bump or ache, it goes away very quickly. Then. The man in the photos is always slumped, whether sitting or standing. I remember that it seemed hard to hold my head up, to sit or stand straight, as I was so tired all the time. It was so hard just to get out of bed in the morning. Now. I sit and stand straight naturally, without even thinking about it. I am full of energy most of the day and much of the night. I am eager for the day, which is always full of good things. I leap out of bed without effort. I switched completely to real food, in particular, grassfed meat, and stopped eating processed and factory foods. I followed the dietary guidelines of the Weston A. Price Foundation, modifying them a bit to eat only meats that are grassfed and grass-finished. It took years, but all my many illnesses healed, and I have had no need for drugs or doctors. This is what real food can do. This post is part of Monday Mania, Fat Tuesday, and Real Food Wednesday blog carnivals.